I have recently bought a Kodak M24 instamatic camera online. A quick disclaimer - I know that they have been reported to have internal parts which have degraded and so upon use they break. I thought Id give filming on it a shot anyway, with the confidence that if it does break, itll still be a lovely item to own. 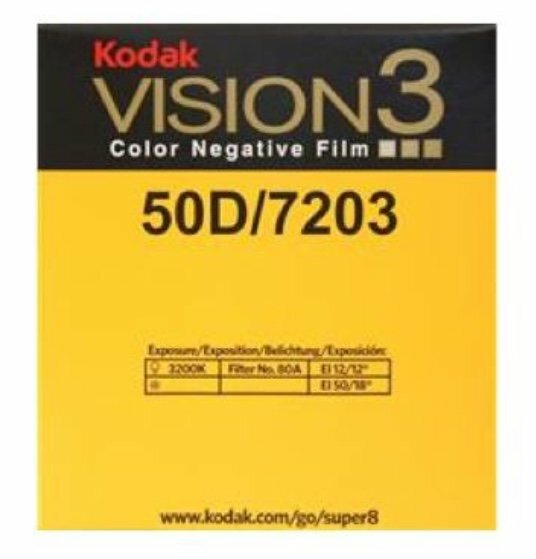 My issue is, I havent been able to find out if its possible to work the modern Kodak super 8 film in the camera or not. Particularly, I was wondering if anyone knew if the type in the attached photograph would function in it? If not, I would be really grateful to anyone who could direct me towards any links to buy films that I could use in the camera. Ehhhh it looks like that camera was probably a 40/160 camera. So 50D or 200T will probably work but... as you said, there's a high chance that camera will break as it's a very budget model Super 8 camera and an old one at that. I'd try and scoop up something... anything else if you're going to spend money on Super 8. At around $100/roll for film/dev/scan, it's not something to just toss around too much in my opinion. Plus it has fixed focus and a pretty low quality lens. Also I believe it needs a weincell button battery to operate the meter which is another hassle for such a low end camera. Thank you for your quick reply, that's all very helpful info. I certainly do hope to buy a much better super 8 camera in the future when I properly commit to filming in general. However, for now, as I said, this one will still please me aesthetically, if nothing else! I do think I will invest a little in trying it out though. I'm new to all things film, but am I right in saying if this camera does break, I'd still be able to carefully rewind and remove any film put in it to be used in another camera? Or is that wishful and ignorant thinking? Thanks again. Luckily Kodak made Super 8 super user-friendly. The film is completely contained within the cartridge except for a few frames where the lens exposes the film. You can take the cartridge out and swap it BUT you can't rewind it at all. So if you try to shoot a little and the camera isn't working right, just take out the cartridge and keep it for your next camera. But keep in mind you won't know the exact amount of film left. You'll have to mark it down based on the what the camera said when you stopped filming. Presumably you're aware that you can't view neg directly. You'll have to have it scanned. This increases the cost quite a bit. I don't think you can buy, process and scan 50' for as little as £50. I am, but thank you for checking! You can get some good Super 8 deals from ON8MIL in London.